During games of Ground forces I keep seeing the same thing over and over again. People constantly ploughing shells into the ground short of my position. It got me thinking, Do people understand ballistics and gunnery? So here’s a short article on how to aim in War Thunder: ground forces. Now to those of us who have used Scopes while shooting will already know all of this, but I think some people will get something from this. First off we need a quick and dirty lesson on ballistics. Obviously everything has weight, shells included. When a Shell is fired it has a muzzle velocity which is its speed. As it travels through the air gravity pulls it downwards causing its flight path to be curved. The lower the starting muzzle velocity the steeper the curve. You can see this in action if you take a small pellet of scrunched up paper, and flicking it at varying speeds. At faster speeds the pellet has a flatter curve. This means as soon as you fire a shell in War Thunder it begins to lose height. To counteract this and hit your target you need to apply something called “Hold Over”. This is how much higher you aim your cross hairs to counteract the shell drop. 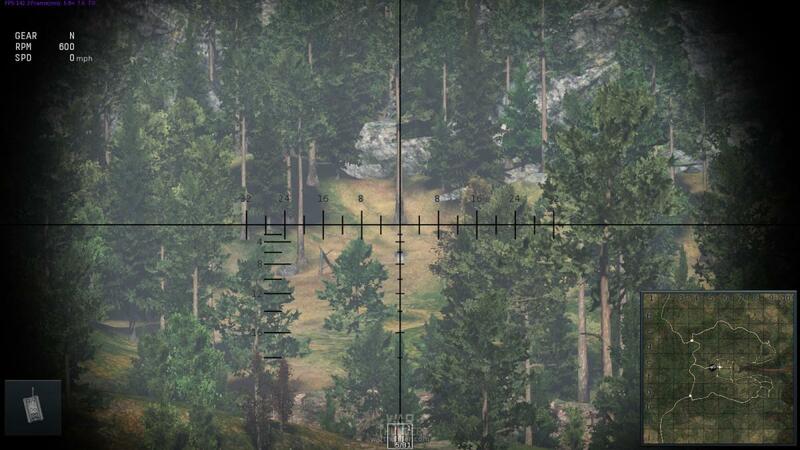 The further the target, the more shell drop there is, so the higher you have to aim. Luckily most gun sights have markings on them to allow you to work out how much hold over to apply. Here’s a demonstration. In this screenshot I’m aiming for the base of the tree. You can see the Tracer from my round, its obviously going to miss. 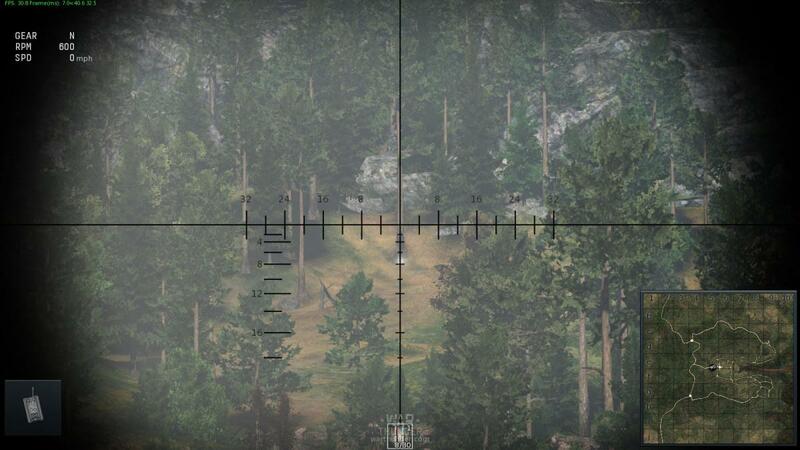 So I adjust, and aim the fourth bar over the base of the tree, and its right on target. So how do I get hits on the target? First thing to do is take your tank for a test drive, you can fire the gun at targets at varying distances to enable you to get a feel for the shell drop. Well one way, and the quick and easy way of hitting, which works well with rapid fire gun with large ammunition supplies, is to walk your rounds into the target. Fire once then, observe the fall of the shot. The keep increasing the hold over until you get a hit. There are other ways Mathematical ways using the gradations within the scope, but I’ve all but run out of space to explain them. Someone on the Forums may well be able to help with this and other issues you have.